Hey guys, have you installed a new Nvidia Graphics Card and you are worried because its not supported by Adobe After Effects. 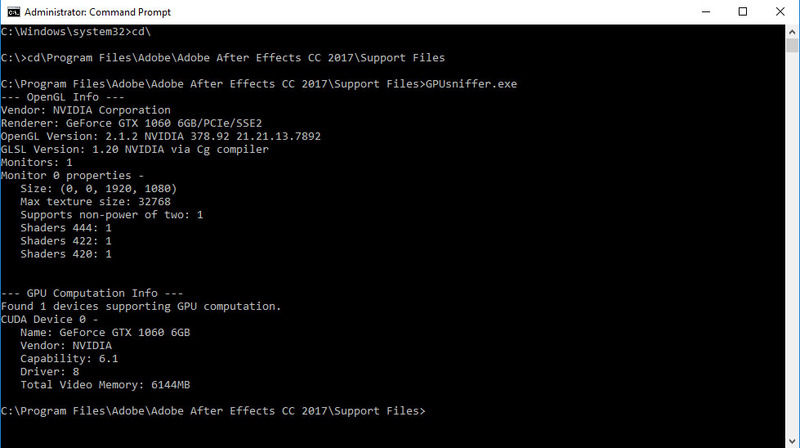 When Adobe came out with Adobe After Effects CS6, they offered a new Ray Traced 3D Rendering Engine that would take advantage of the NVidia video card’s GPU and the CUDA cores for offering faster rendering of ray-traced 3D images. While Adobe still offers the ray-traced 3D render engine in After Effects CC and CC 2014, they now consider this an obsolete feature and are no longer supporting it. Because they are no longer supporting the Ray Traced 3D Render Engine, the newer video cards will not work. But don’t worry i am here to fix it out, I will solve this problem in few steps. Even me to faced this trouble a long time ago, just follow my steps and your Graphics Card will be supported by Adobe After Effects Software. Step 1: First open a Command Prompt as Administrator in your computer by typing cmd in contra (Windows 10) or RUN (Windows 7). 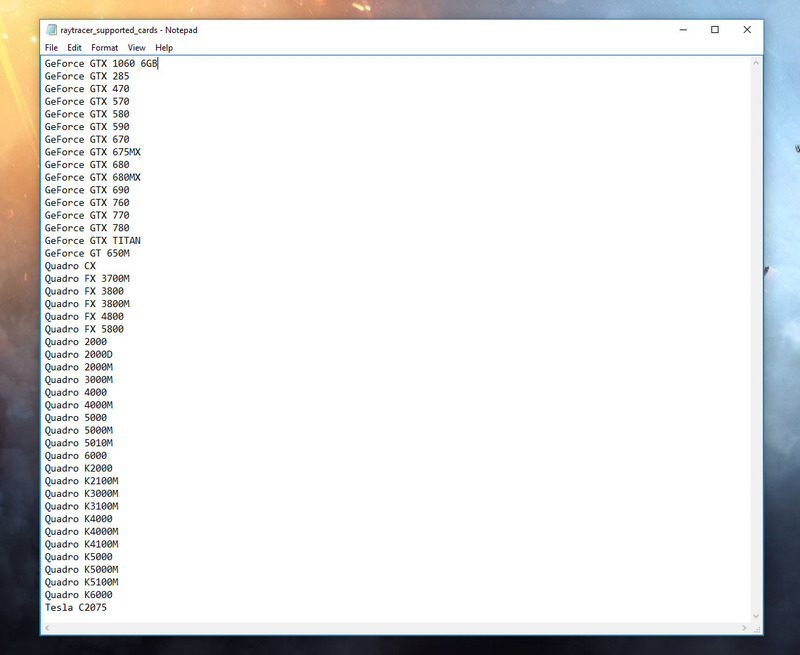 Step 6: Paste your Graphics Card Name in the last line just like the picture below, and save the changes. 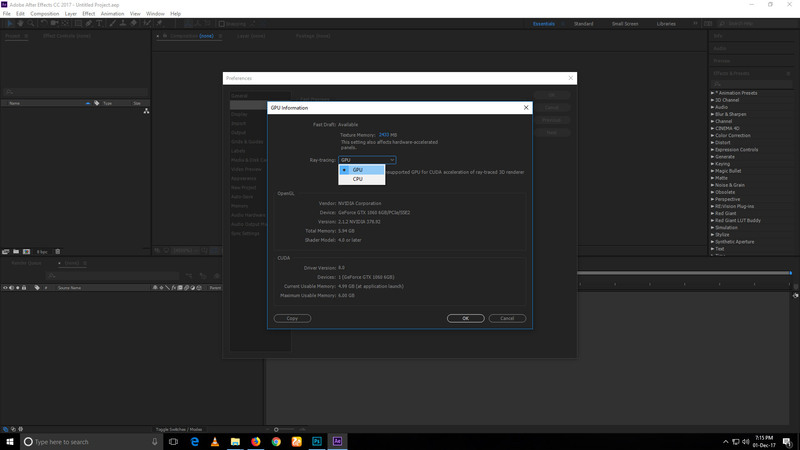 Step 7: Now Open Adobe After Effects, Go to Edit>Preference>Preview then click on GPU Information and just like below dialog box select GPU as Ray-Tracing and Click OK.